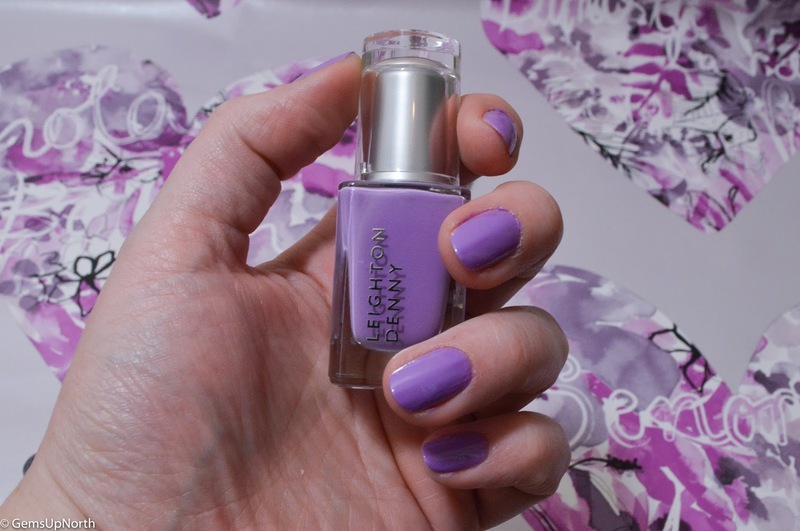 If you haven't of guessed already my favourite colour is purple and I tend to lean more towards this colour in my clothing and makeup so when I was asked "what's my favourite colour in nail polish" I of course said purple. Along came 2 beautiful nail polish shades from Leighton Denny for me to sample, thank you for sending these over. Leighton Denny launched his own range of professional quality products in 2005 after working with celebrities on fashion shoots, on different events and winning British Nail Technician of year in 2004. 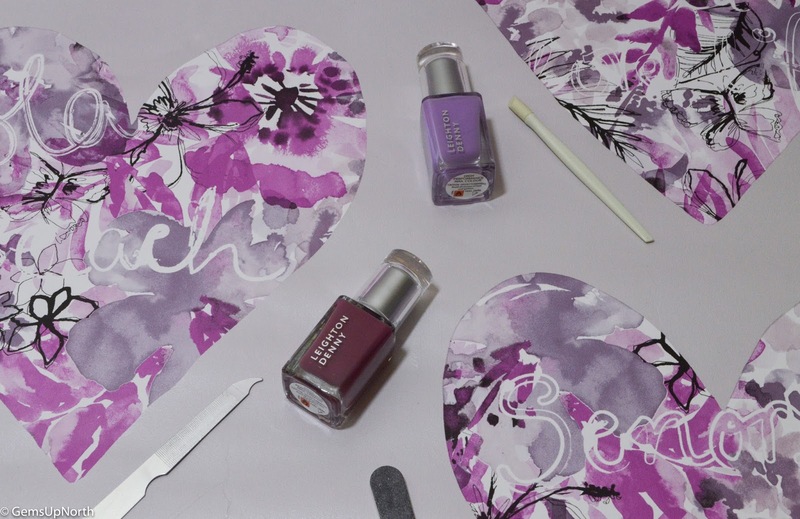 All of Leighton Denny's passion poured into the the brand and its now one of the world's leading nail care brands. The first product I tried from Leighton Denny was the Miracle Mist which I received in a beauty box last year and I was blown away by the product. If you want your freshly polished nails to be touch dry in seconds then you need this product. Its so easy to use as well and nourishes your cuticles too so its a win win product in my opinion. I need to pick up another can of the Miracle Mist as mine has ran out. 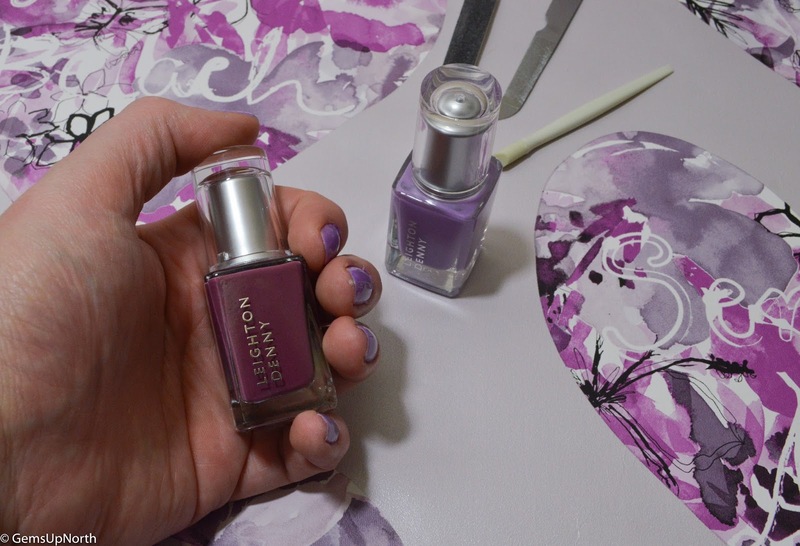 Since I was already a fan of the brand I was super excited to try some nail polish shades from them, I was kindly sent 2 purple shades; *'Dress to Impress' and *'Crushed Grape' from the brands PR company. I have been wearing both shades for the past couple of weeks and had many compliments about the colours. My favourite of the two polishes is 'Dress to Impress' this is a bright pastel shade that is just perfect for the Spring/Summer seasons. I like to wear this one on a daily basis but the Crushed Grape shade is much better for evenings out. 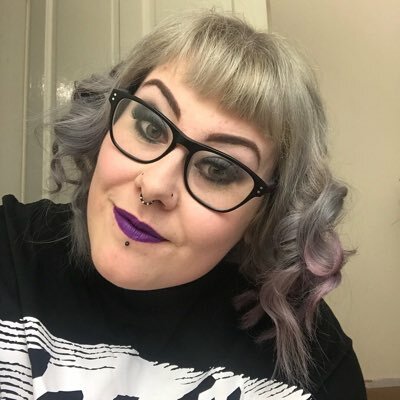 Crushed Grape is a darker shade with a plum like colour to it so to me its more of a dressed up shade. Each polish comes in a sturdy bottle with the brands name on the front and you can see the shade through the clear bottle, on the back of the bottle is product information and the shade name. Applying the polish was quick and easy however I think a bigger shaped brush would of made the application process smoother on my nails. I still found the polish applied neatly even with a small/thin brush, I applied a two thin coats and then my own top coat to each nail. The product dried quickly towards other nail polishes so this was a big advantage if I'd of had some of my Miracle Mist left I wouldn't of had to wait for them to dry at all. As for longevity I was really really impressed, both Dress to Impress and Crushed Grape lasted 6-7 days on my nails! I had no clipping, marks or loss of colour on my nails until the 6th day of wear so this is amazing for me as it saves me topping my polish up or reapplying throughout the week. You might be thinking that if the polish stayed on my nails for this amount of time that I'd have trouble removing it, well you'd be wrong. With my regular nail polish remover pads the polish came off within minutes and didn't stain my nails in anyway. 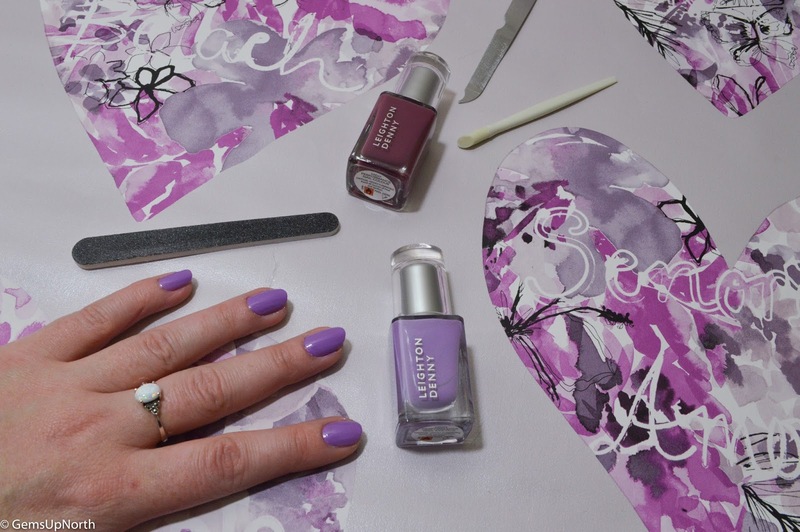 I've now been onto the Leighton Denny website to see what other shades I can pick up for summer, I also spotted a selection of polishes in my local M&S so I can pick them up whilst shopping in town too. The polishes cost £12.00 each and with the longevity of them I can see them lasting ages! LD is also cruelty free and has a full range of nail polishes, nail care products and tools available. *PR Sample - all thoughts/comments are my own, see my disclaimer for more info. Good example of trending nail art, also see some more in ezflow nails.